When you create your SnapPages website, you are automatically enrolled in a 14 day trial. However, to continue using the service once the trial expires, you must upgrade to one of our paid plans. To upgrade your account at any time, select 'UPGRADE NOW' at the top of your account's dashboard. From there, you will be taken to the 'Select a plan' screen where you can choose the plan you'd like. 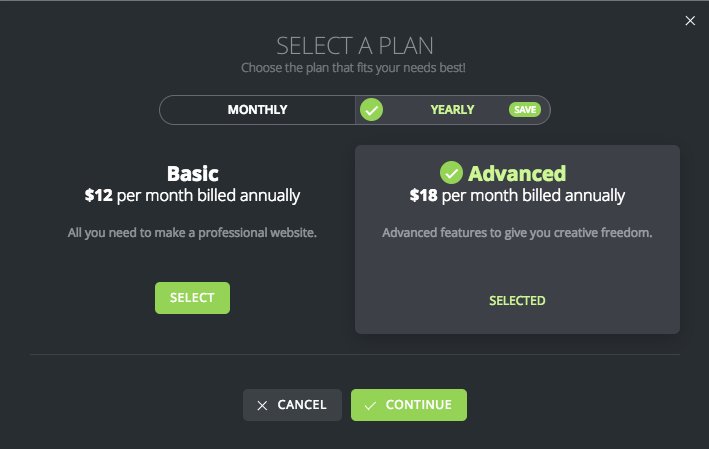 To read more about what each plan offers, please visit the PRICING PAGE. Once you've selected the plan you'd like to upgrade to, click 'Continue' and follow the instructions to pay for the subscription. If you have any questions about upgrading, or are having any problems doing so, please contact support. We're here to help!